Mary Louise Cohen, Erika A. Kelton, and Colette G. Matzzie were each named to the list, which is billed as the “most elite distinction in the profession,” for their continued success representing whistleblowers as well as their leadership in the area of whistleblower law. Lawdragon has called Cohen the “queen of qui tam” and credited her for a key role in establishing the practice of “qui tam” whistleblower law. She has also had success in major qui tam cases, including a $302 million settlement with Quest Diagnostics. Kelton has represented whistleblowers from around the world. She represented the leading whistleblowers in the largest and second largest healthcare fraud settlements: a and a $2.3 billion settlement with Pfizer. She also won for an international client one of the largest whistleblower rewards every paid by the Securities and Exchange Commission whistleblower program, more than $32 million. This year’s award marks Matzzie’s sixth consecutive appearance on Lawdragon’s esteemed list. Her success litigating unique and complex whistleblower cases led Lawdragon to call her a “brilliant advocate for whistleblowers.” One of her most recent successful whistleblower cases resulted in a settlement with hospital giant HCA for allegedly performing medically unnecessary and substandard heart procedures at a hospital in Georgia. 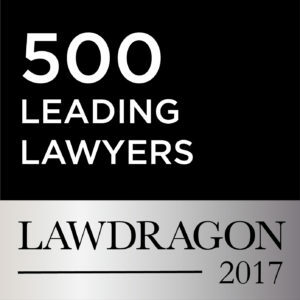 The entire list of the “500 Leading Lawyers in America” can be found at Lawdragon’s website.